Trust your next Westmont, IL, home remodeling project to the family-owned business with an A+ rating from the Better Business Bureau. At Hanright Home Solutions, our fully licensed and insured contractors serve customers throughout Naperville and the surrounding areas. Friendly, courteous, and committed to client satisfaction, we want to be the team you can count on for quality work at a fair and reasonable rate. 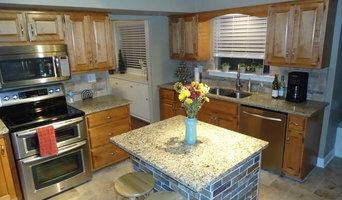 We are a full service design-build, remodeling and custom homes. 24 years in business. Over 800 completed projects. Many awards. Highest rating with the Better Business Bureau. No complaints. Member and officer of the Chicago chapter (SSHBA) of the National Association of Home Builders. If it is careful attention to details, quality and design that you seek for building your next custom home or renovation, you want Clairmont Ltd. on the project. 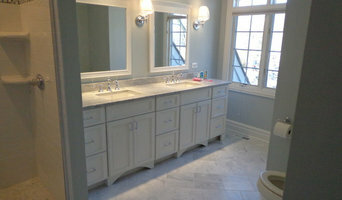 For the past 23 years, Clairmont Ltd. has been pleasing homeowners and crafting quality throughout DuPage and southern Cook counties in towns such as Hinsdale, Clarendon Hills, Oak Brook, Burr Ridge, Downers Grove, Bolingbrook, Beverly, Orland Park, LaGrange and Western Springs, to name a few. We place a high value on the relationship with our clients considering it a partnership of utmost importance. Our design/build vision, professionalism, vast and up-to-date knowledge of the construction processes, specialty certifications, knowledge of the latest products and best practices are one of many benefits to you, the homeowner. Our referral rates are among the highest in the country, thanks to you! Feel free to reach out to us, we would love to hear from you! Make a statement in style! We Pride ourselves in delivering harmonious and inspired designs. Whatever your style, we'll work with you and help you achieve it. We offer a full range of Interior design services as well as construction services. Our highly skilled contractors will transform your vision to reality. This is where form meets function. 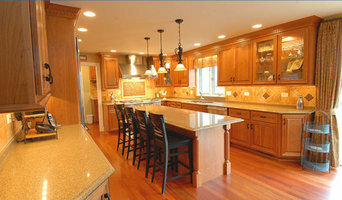 What separates us from a traditional Design/Build is that you are not obligated to us for either construction or design. You own your design and can take it to your contractor, or alternatively you can bring us your design for our professionals to build. Reshape your home your way with our help. 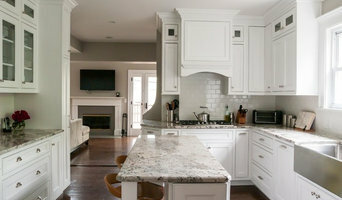 Since 1976 Meeder Design & Remodeling has provided home remodeling services to satisfied homeowners in the near western suburbs of Chicago. We’ve proven that quality and service won’t be compromised. A turnkey business, clients enjoy peace of mind knowing Meeder Design takes total responsibility for the entire job; from initial consultation and design, to permits, construction, final walk-through and any follow-up service during the warranty period. When working with us, you’ll confer with with experts in the construction and design field; whether it is our project manager, interior designer, plumbing designer or tile designer. Owner Patrick Dulleck has worked in the industry for 35 years. He’s committed to customer satisfaction and working relationships that last. Many key personnel have worked at Meeder for many years; they are an integral factor in providing the type of service that earned Meeder Design & Remodeling multiple Better Business Bureau’s Complaint Free Awards. We make it our pledge to provide our clients with access to quality products, excellent workmanship and outstanding customer service, while keeping costs as low as possible..